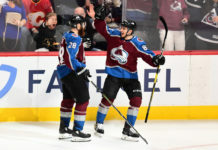 The Colorado Avalanche secured a spot in the postseason with Thursday night’s victory over the Winnipeg Jets, but there is still much to play for in the final game of the season. 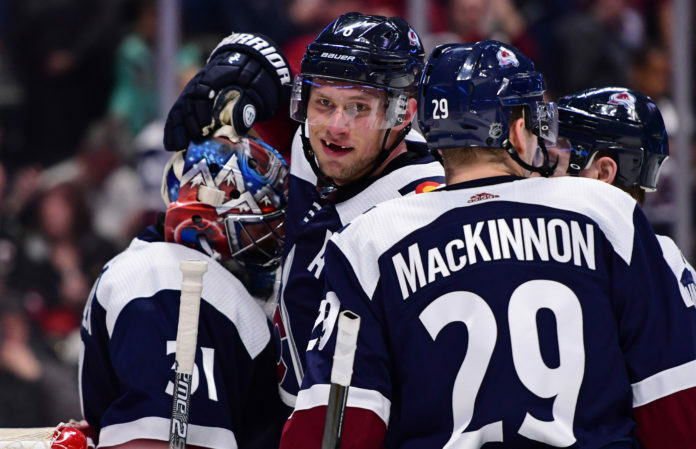 The Avs trail the Dallas Stars by a single point in the Wild Card standings and can potentially change their first round matchup, depending on what happens Saturday night. As it currently stands, Dallas (91 points) owns the first Wild Card – and can secure their position by getting at least one point against the Minnesota Wild on Saturday. If the Stars remain ahead of the Avalanche in the standings, Dallas would then face Nashville (98 points) in the first round. 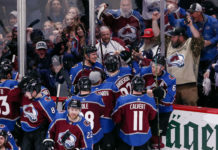 If the Stars lose in regulation, the Avs would have an opportunity to surpass Dallas and set up a rematch with the Predators by beating San Jose (99 points) Saturday night. While the Avs will have to face a talented team no matter who they face, Nashville would be a more favorable draw in the opening round. 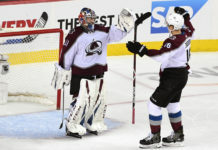 In four matchups against the Predators, the Avalanche split the season series – with each team winning two games apiece. Colorado has yet to beat Calgary in 2018-19, though. The Flames beat the Avs by scores of 3-2, 6-5 and 5-3 in the three meetings this season. Minnesota at Dallas (6:00 p.m. MT). Colorado at San Jose (8:30 p.m. MT).